How can nano-sized polymer thin films with controlled wettability be prepared in an environmentally friendly way? Researcher Dong Kee Yi has discovered a method of controlling surface wettability of wavy patterned, two-dimensional poly(dimethylsiloxane) (PDMS) films by combining colloidal self-assembly and controlled strained-releasing. 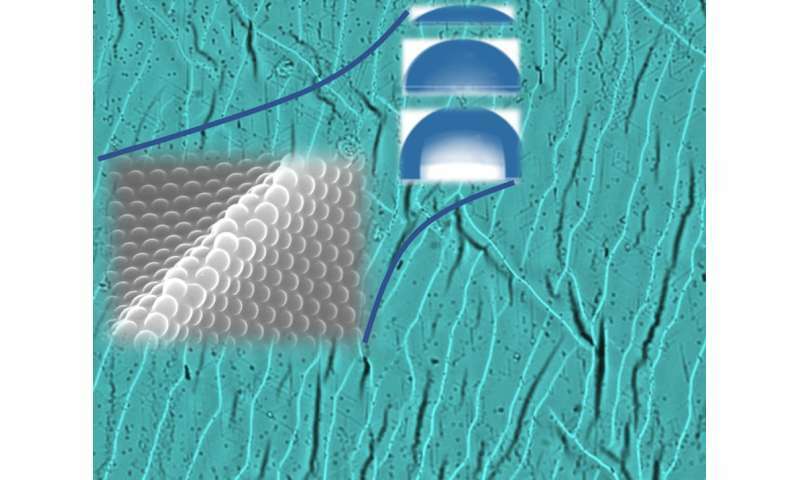 This innovative strategy has demonstrated that the surface wettability of wavy patterned polymer thin films was tuned by the details of the grooved geometries on the surface of the films. "This approach can be applied in various nano-size polymer thin film fabrication with controlled surface hydrophobicity, while avoiding any potential toxic chemical treatment," commented author of the report, Dr. Yi. Exploiting reversible solubility allows for direct, optical patterning of unprecedentedly small features.